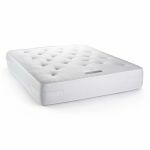 This single mattress has been designed to provide orthopaedic backcare for a more natural sleep. 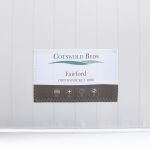 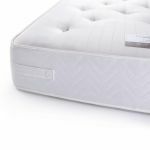 Featuring 1000 pocket springs at king-size which each offer independent support, you can rest easy, knowing each part of your body is supported firmly and correctly. 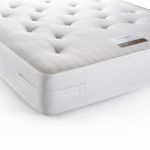 The springs are wrapped in a high-quality foam encapsulation to create a wider sleeping surface, and the mattress is completely hypo-allergenic. It is hand-tufted with a damask finish to give it a luxurious feel for your bedroom.